L&JR | 1'335 € Tax inc. 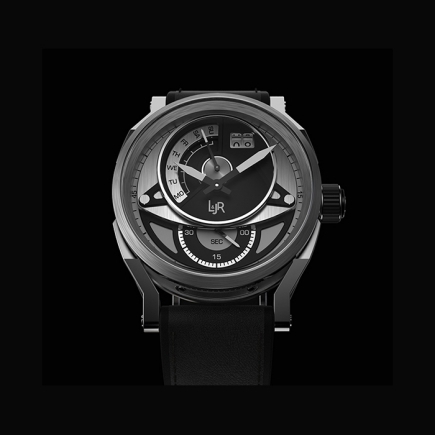 The product of bold ideas, long discussion and intense collaboration, L&JR is a thoroughly modern brand, driven by its founders shared desire to take a new approach to Swiss watchmaking – an approach designed for todays world. A world where watches dont merely tell time but speak volumes about their owners͛ style and attitude. A fast-paced world that nevertheless values long-lasting quality. 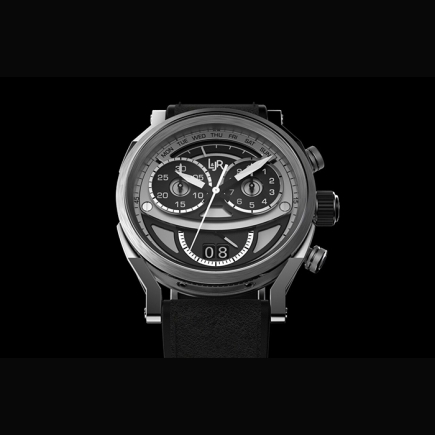 With deep experience in the watch industry, complementary skills and shared values, the three founders embarked on the adventure of creating watches together. The challenge they set themselves was to find the sweet spot between quality and price, originality and reliability, a love of horology and a sense of fun. At the core of the brand lies the founders͛ conviction that the owner of the watch – the wearer and user – should be at the heart of every idea. A principle that they have successfully translated into strong design, allied to high Swiss quality and great value for money – a sophisticated and contemporary definition of luxury. An individualist with a keen awareness of style and a sense of adventure, energetic and confident, todays men and women move effortlessly from one culture to another, from work to leisure, day to evening, city to outdoors. They want a watch that will adapt naturally to all of those situations – versatile, a chameleon, but never dull. Distinctive and full of character, L&JRs designs combine a boldly contemporary spirit with a dash of elegance. 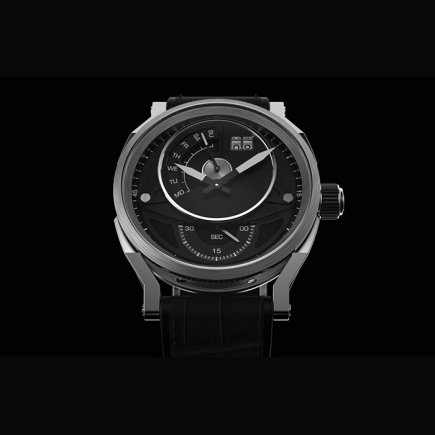 Robust proportions and a powerful case design are balanced by visually arresting dials constructed on multiple levels. Well-crafted details are given a subtle, modern twist. Functions are always useful, never superfluous. 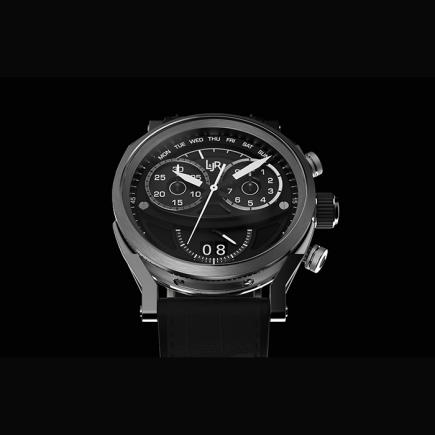 Designed for todays men, the first collection – Step 1 – launches with two lines: a Day-Date and a Chronograph. Incorporating two of the most useful complications for daily life, the Day-Date model is defined by a dramatically modern and dynamic design based on a play of circles within circles. 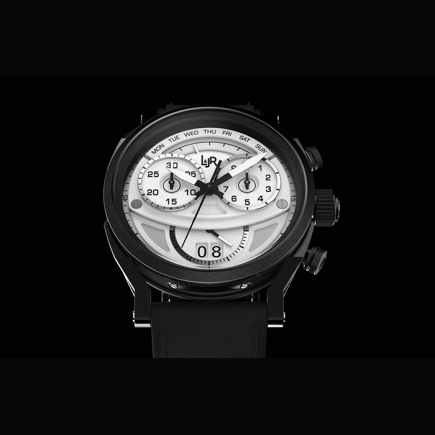 The three-dimensional, multi-layered dial – offered in a choice of three monochrome schemes: black, white or black-and-grey – is original and striking in style while also being highly intuitive to read. Each of its layers serves a distinct functional as well as aesthetic purpose. 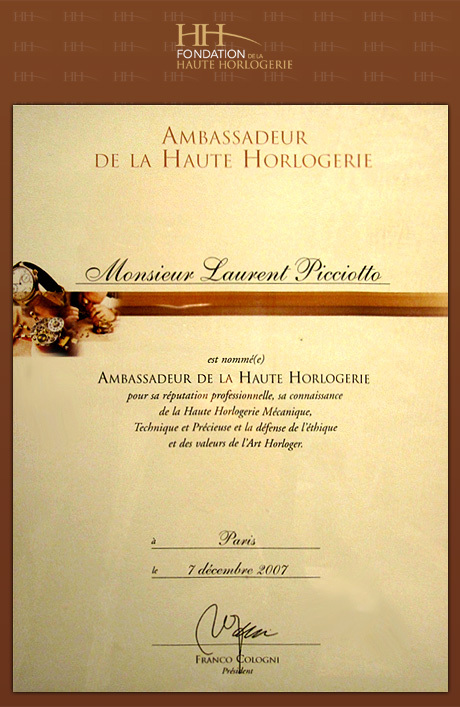 Under the domed sapphire glass, the time display, along with the day and date complications are set within a disc on the uppermost level – the sword-shaped hour and minute hands in the centre, with the big date window at one o'clock balanced by the arc of the retrograde day-of-the-week display. This upper disc is attached to the main dial plate by a pair of triangular brackets with prominent, decorative screws and that plate, in turn, floats above a lower dial, partially concealing the running seconds display. On the visible semi-circle of the small seconds, a double-ended hand with bright white tips completes the full 60 seconds circuit, playing a neat game of hide-and-seek as it disappears and reappears from under the dial plate. This dynamic display is housed within a bold, round case with an open, outwardly-sloping bezel that gives full rein to the play of elements on the dial. With its robust proportions, the 45mm diameter case exudes an air of quality, thanks to a combination of brushed and polished finishes, as well as a narrow band of fluting between the bezel and case-side. A handsome play of steps and angles adds further distinction to the case, emphasising its modern, technical spirit. The semi-skeletonised lugs provide a focal point – as well as a key aesthetic signature of the L&JR collection. Viewed from above, the lugs are angled inwards to form a waist͛ at the strap attachment point; seen in profile, they drop sharply downwards from the case-side, snugly wrapping the wrist for excellent wearing comfort. The black rubber strap is topped with a contrasting leather upper layer to add a sporty note to the styling. The crown is engraved with the L&JR logo and given a deeply grooved rubber coating, for ease of operation as well as aesthetic effect. All adjustments are made through the crown: one pull to set the date and a second pull to set the time. An added feature is that by pulling out the stem when not wearing the watch, the user can reduce power consumption by approximately 70% per cent. 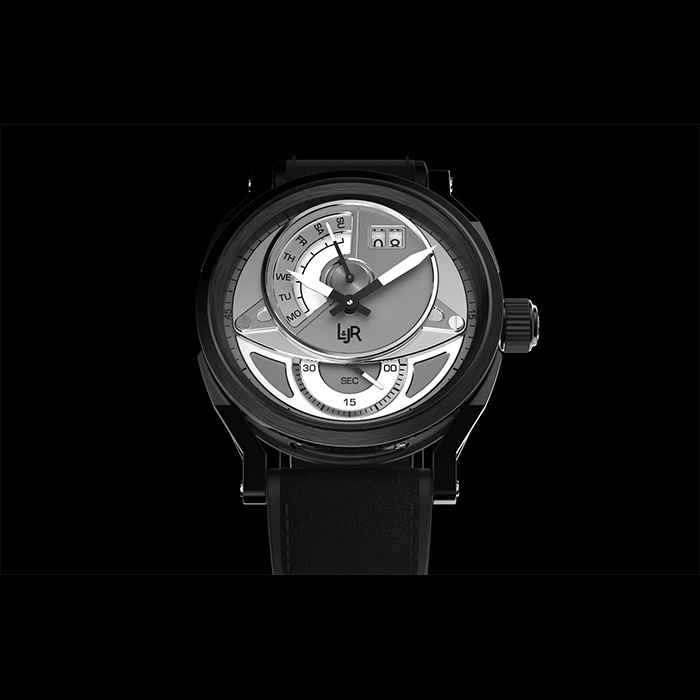 The Swiss-made quartz-powered movement offers 48 months of operating autonomy (excluding use of the power-saving feature). The closed case-back has a screwed construction, guaranteeing water resistance to 50 metres. On its steel surfaces, a mix of circular-brushed and micro-blasted finishes complement the engraved central logo – further expression of the brand͛s confident modernity.